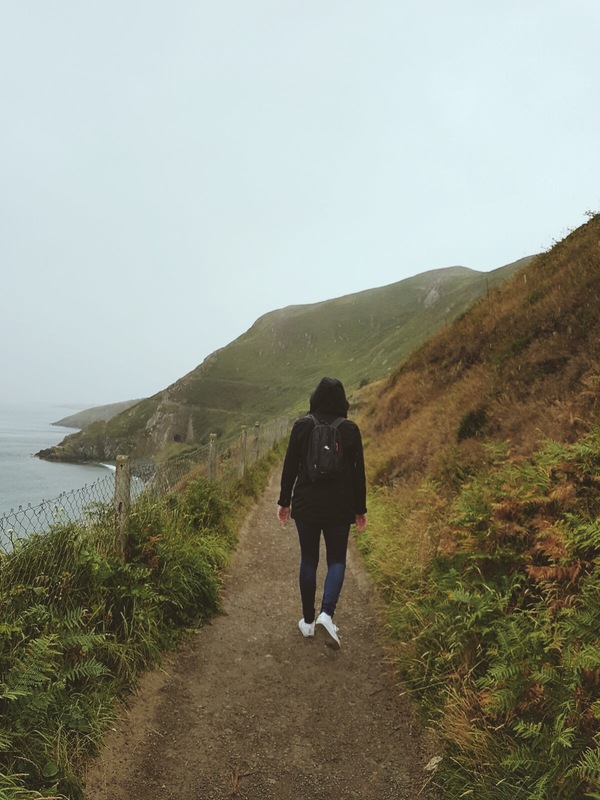 Our first time staying on the west coast of Ireland, and our first Airbnb! 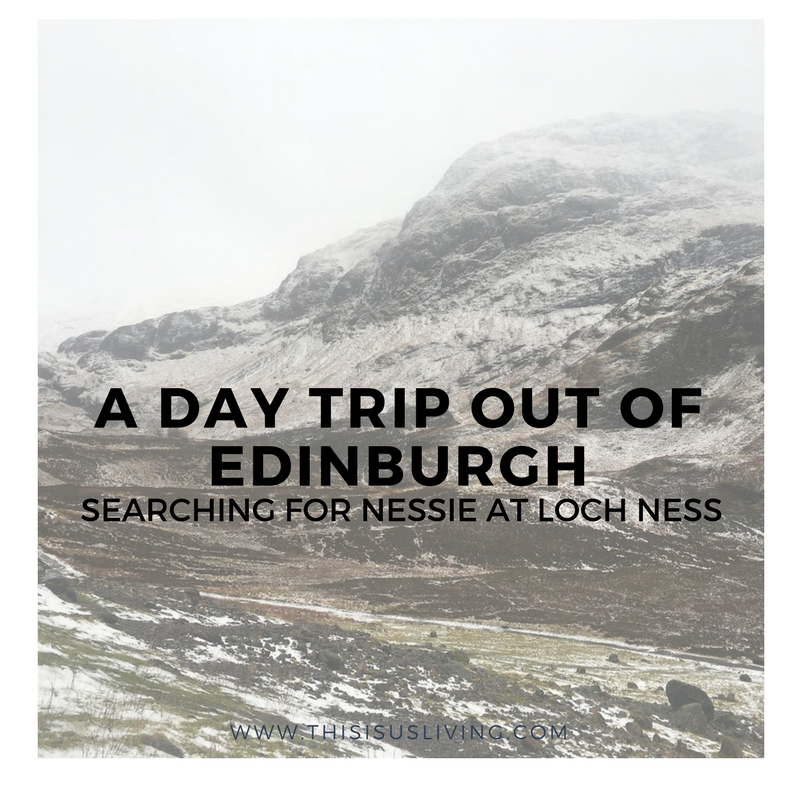 Rob and I were keen to see what the west coast had to offer, but were not so keen on staying in a busy city. 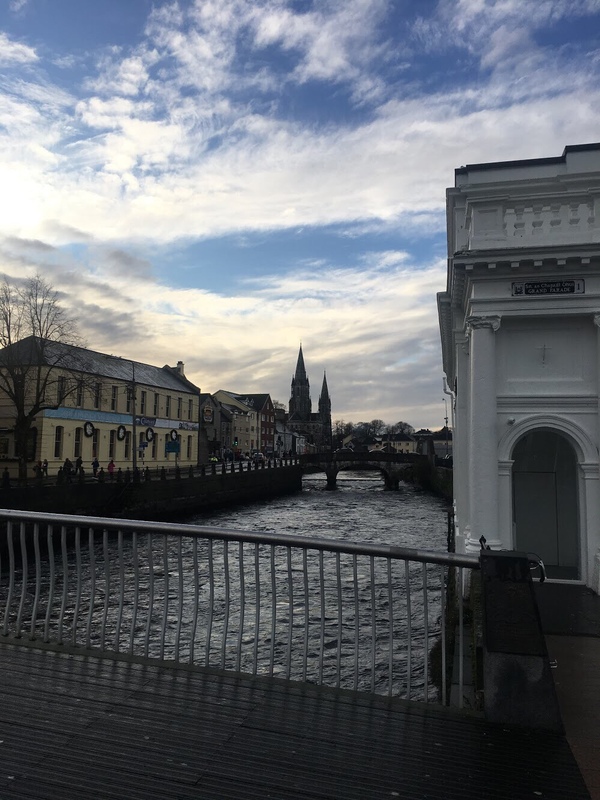 Since we rented a car specifically for this trip, we thought it would be the best time to explore a smaller town, and really get a feel for Irish countryside. Kinvara did not disappoint. Because we were traveling in winter, Kinvara as little country town, was very quiet – a lot of the restaurants were closed in the evenings. 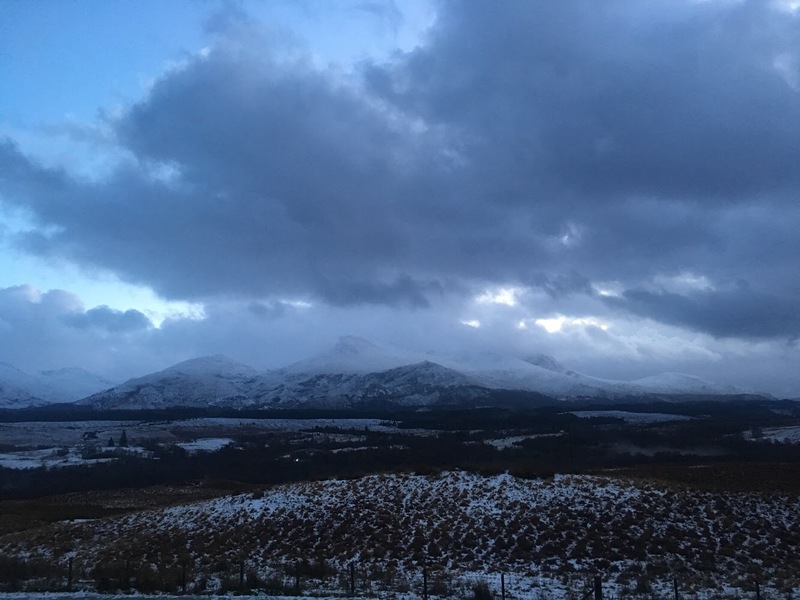 If you want to travel around Ireland in winter, it is important to remember that a lot of tourist spots are closed or have winter opening times. 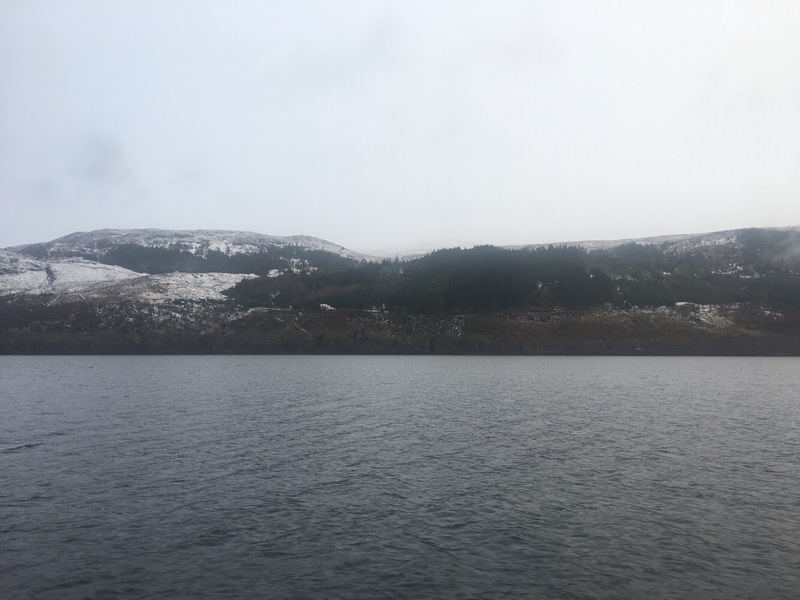 Read this post I wrote about the benefits of visiting the west coast of Ireland in winter. 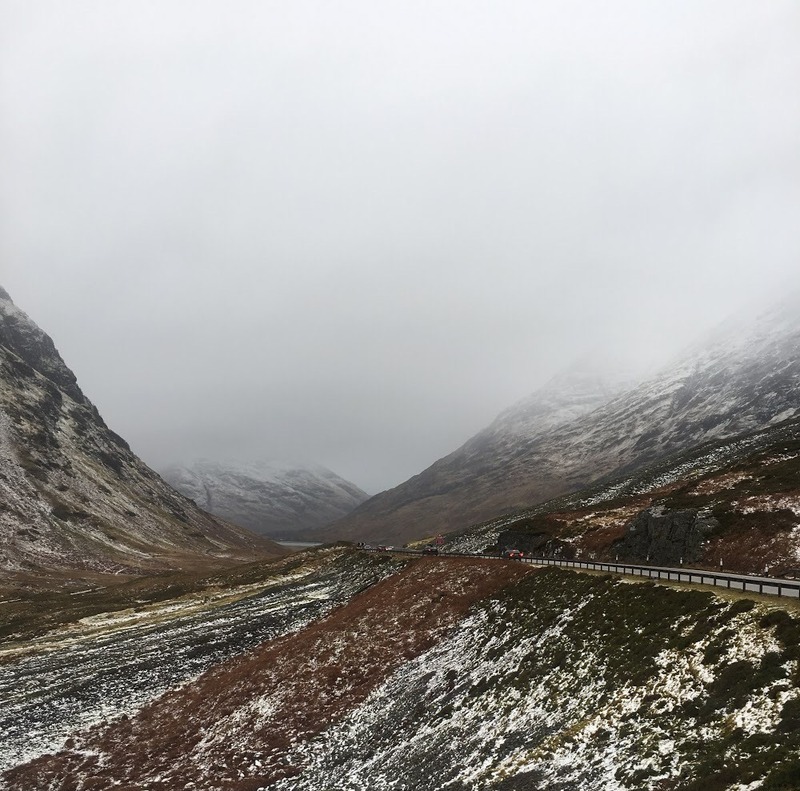 We really just wanted to get away (with our dog) and just road trip around Ireland a little bit. 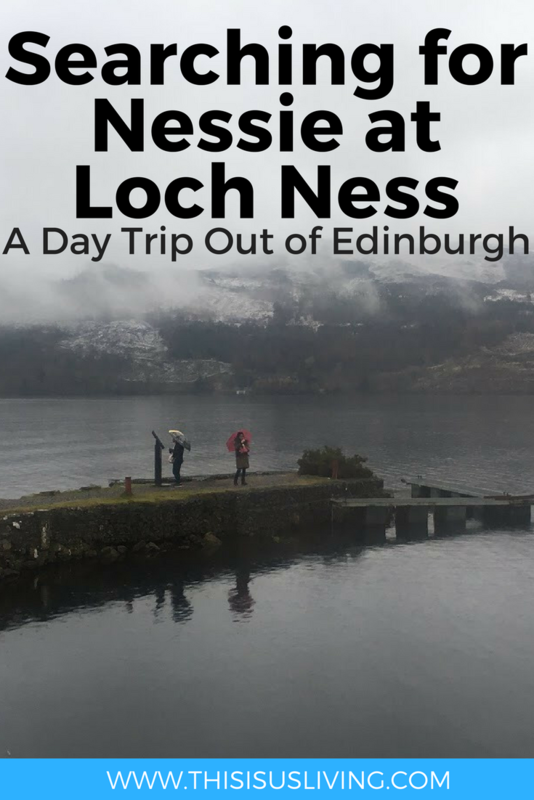 We didn’t have much in the way of a bucket list of things we wanted to see, but rather the main goal was to unwind and relax. 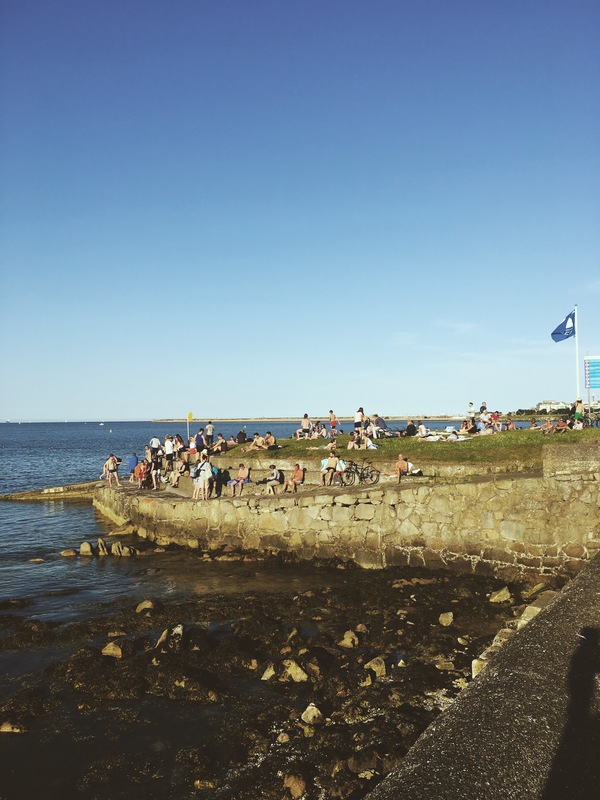 For us, Kinvara is the perfect place to just chill out. We did a few walks as a little family (Jack included) and took some time to just sit and read and drink wine too. 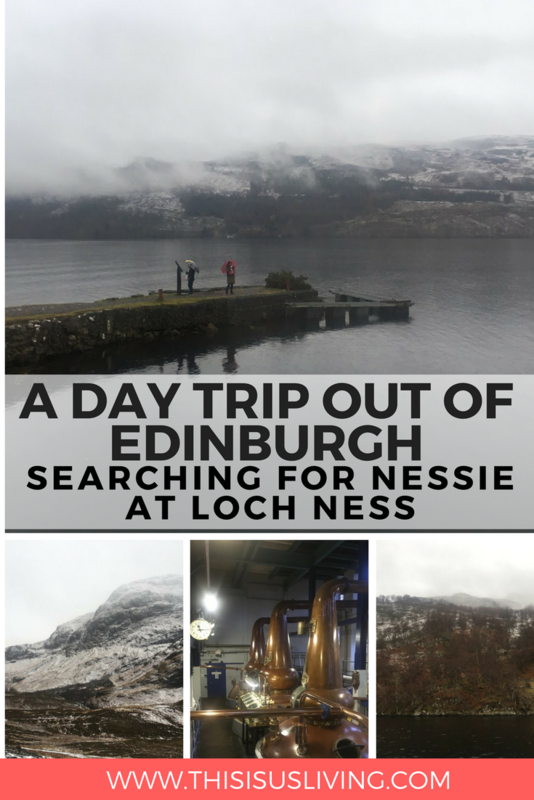 It was the perfect amount of explore and recharge. 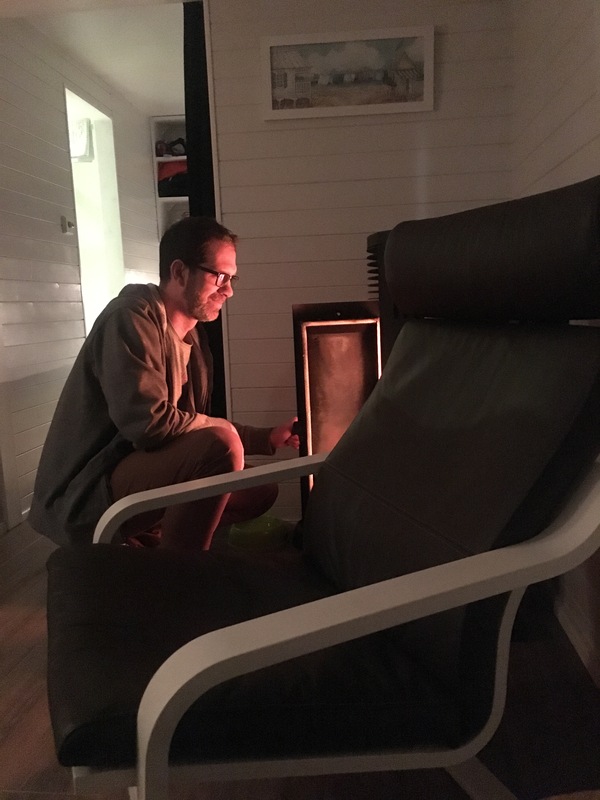 We found a great little Airbnb that has gone almost 100% off-grid, with a wood burning stove, solar powered lighting, and composting toilet. 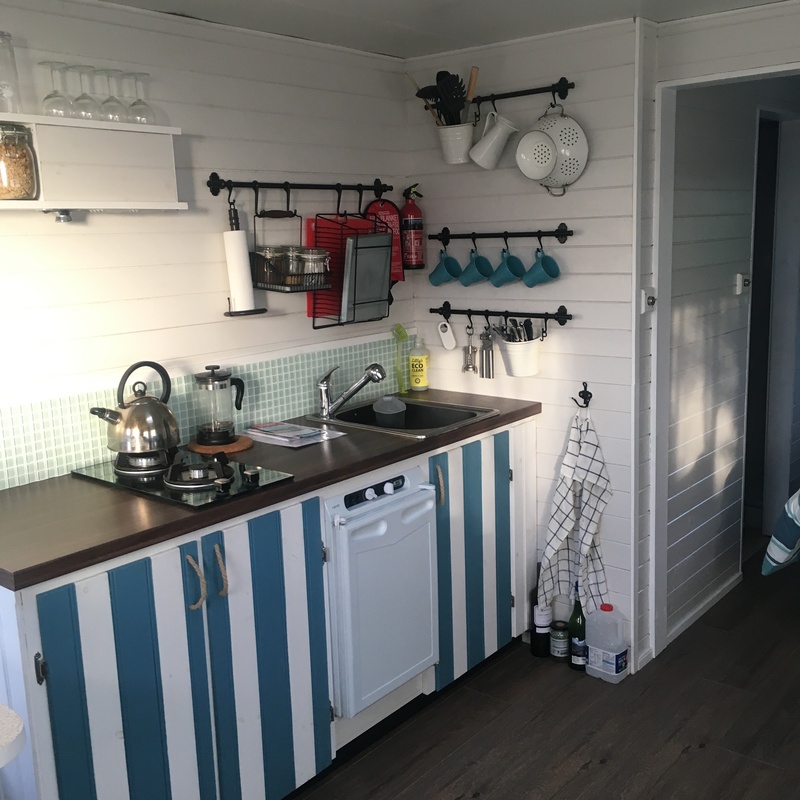 The cabin is small, 6m x 3m so it really gave us a real taste for tiny living – something both Rob and I are very keen to do long term. The cabin had a little cooker and we cooked our meals at home to save a bit of money, but also it gave us a lot more one on one time. Time to just hang out as a little family. 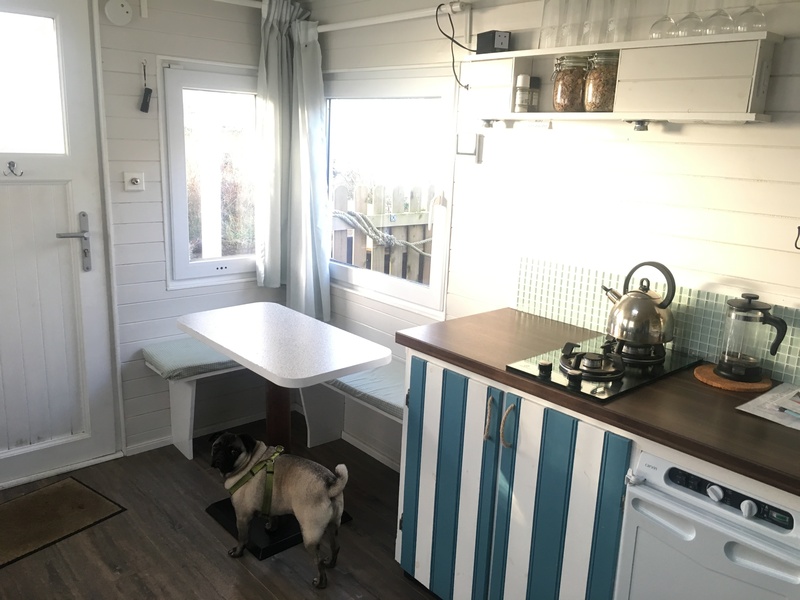 One of the best parts of this cabin, apart from the tiny living feel, was that it was pet friendly! Jack absolutely loved his stay here, the cabin shared a little outside area with the cabin next door. There was no one staying in the second cabin which meant Jack had free reign to explore the garden – which he absolutely loved. The nights were cooler, but the stove inside honestly worked such a treat. 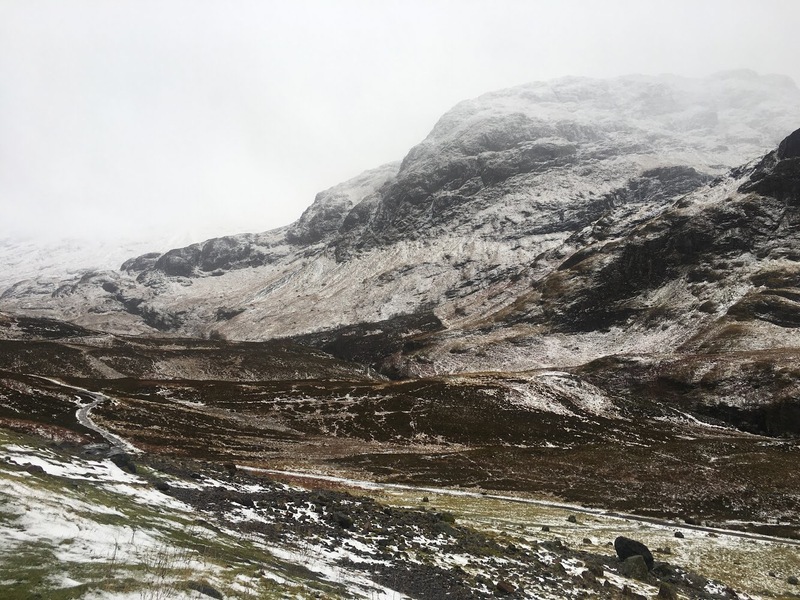 Rob accidently put several logs on the stove at one time on the first night we were there, and it ended up bringing the temperature inside the cabin to almost hotter than a summer’s day in South Africa. We were sweating that first night, but it made for a good laugh, and we just hydrated with extra wine. It will always be a fond memory of our time in Kinvara. Tiny living is definitely something I want for us as a family. 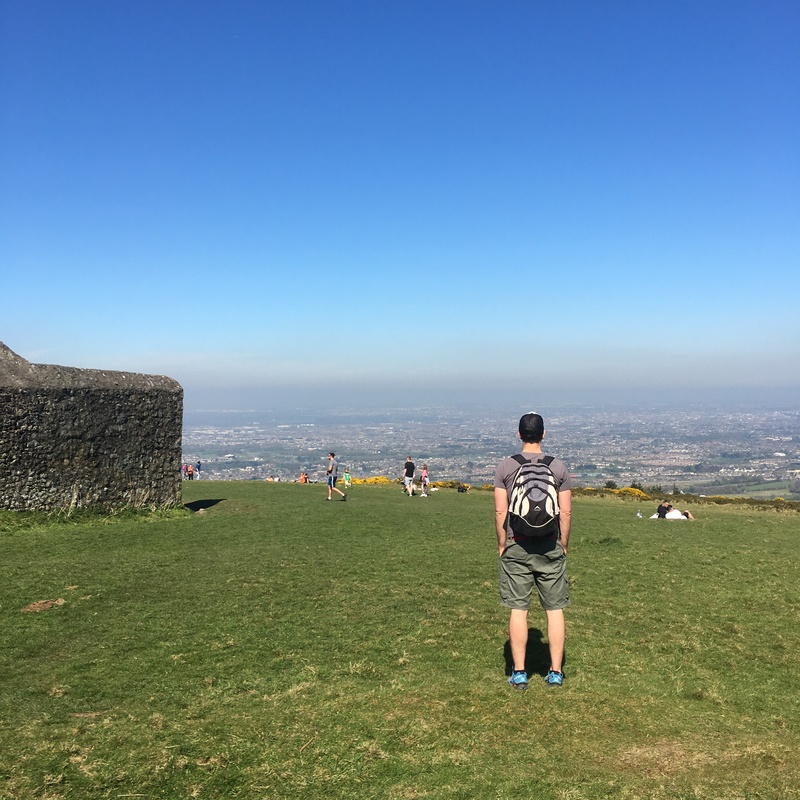 Since we have moved overseas to Ireland, we have learnt to scale back what we have in our own home. 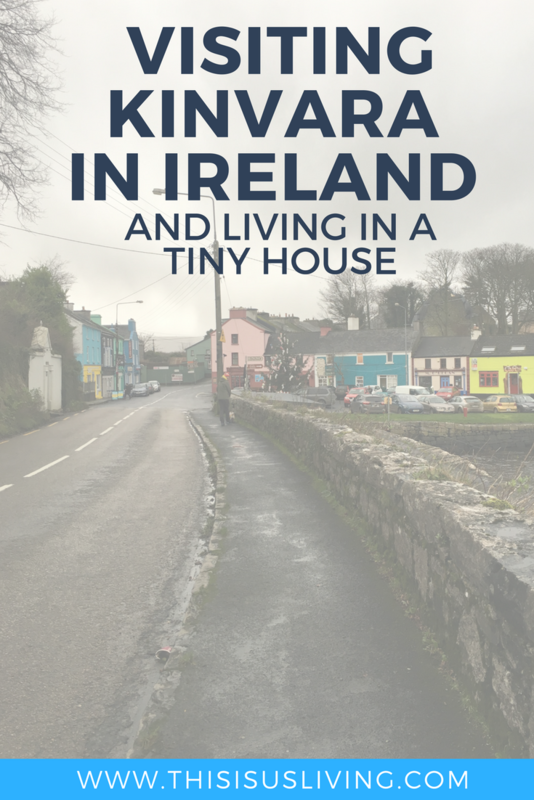 This tiny cabin experience in Kinvara really brought home the fact that we don’t need a lot to survive. And if organised cleverly, you can have the right amount of storage areas to hide away the things you do need. The cabin was fitted with a lot of cool features like a little kitchen nook where we ate our meals; shelves under the bed for storage; and a drying rack that could be hung up on the wall when we had finished using it. The only real challenge was the compost toilet. I think this is something you have to wrap your head around if you ever plan on going off the grid (or in this case, renting this particular Airbnb). I won’t go into graphic detail about it, but it did take some getting used to. A composting toilet means that there is no water or drainage to flush things away. It basically stores it, and you then have to remove it once it fills up. The mechanics are a bit like a porta-potty, but it doesn’t smell or stink up the place. We thankfully didn’t have to remove or replace the unit while we were there. I am just not sure that sort of contraption is for me, I could handle visiting there, but not for the long term. So maybe going off grid entirely is not for me, but I do think I would love to live in tiny home. 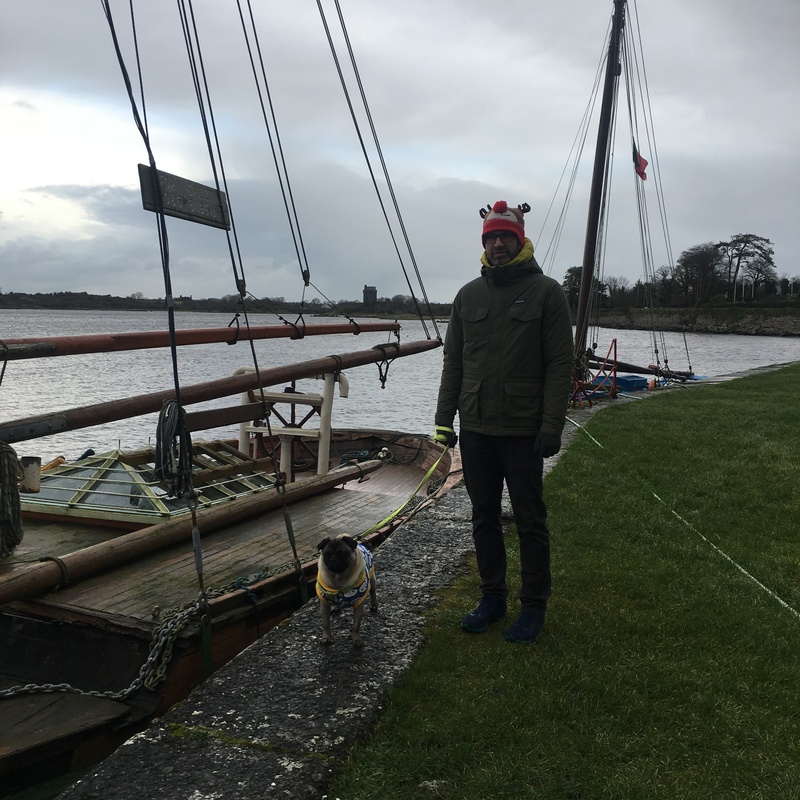 All in all, our time in Kinvara was lovely, if not for being very low-key. That is part of slow travel that I enjoy the most. You don’t need to always be going to still enjoy being away. We had a great time, all three of us, and it was the perfect time away we all needed. 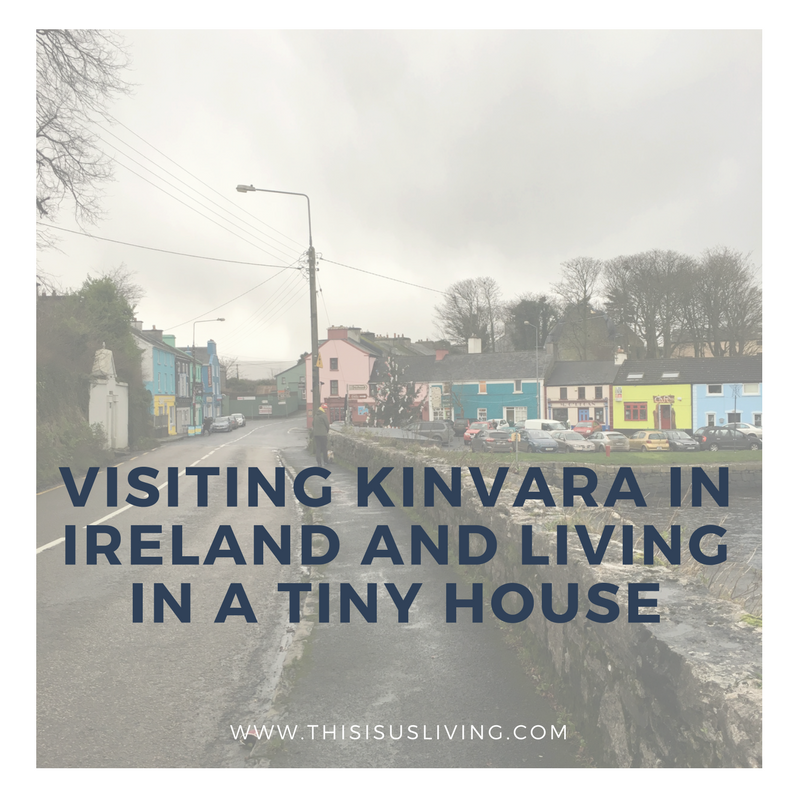 HAVE YOU BEEN TO KINVARA? WHAT DO YOU ENJOY MOST ABOUT A WEEKEND AWAY? 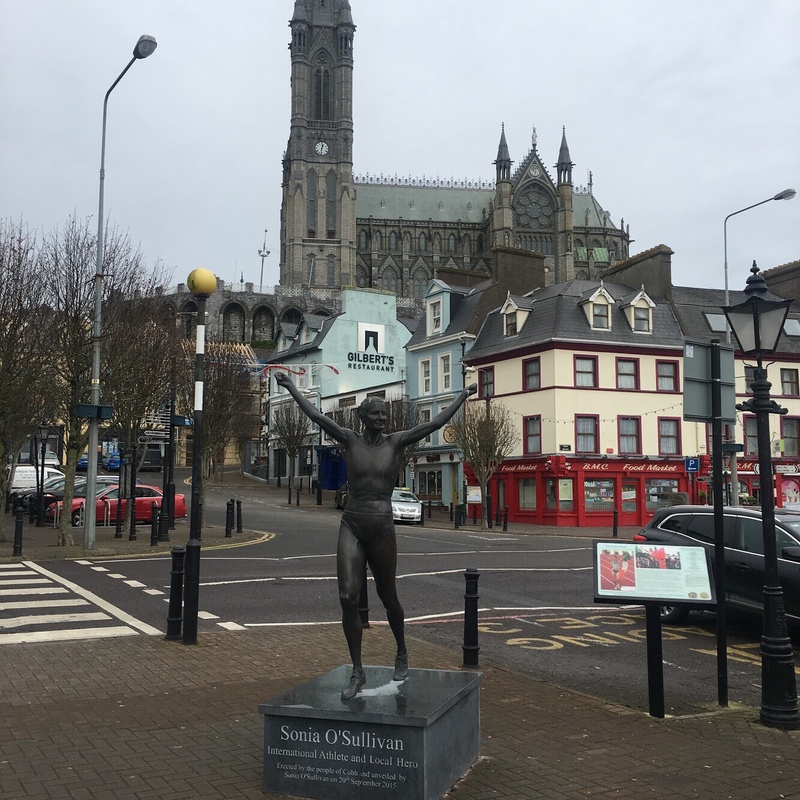 We finally made it to Cork! I say finally because my first ever Irish friend (who I met when I au paired in the USA) lives in Cork. 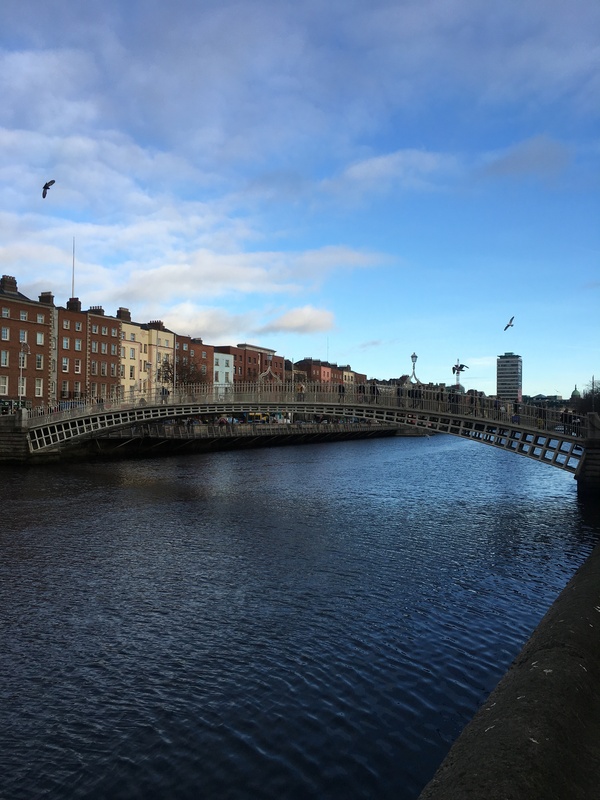 She has come to visit us in Dublin, and well let’s just say, it took us over a year to reciprocate by going down to visit her. Shocking, I know. 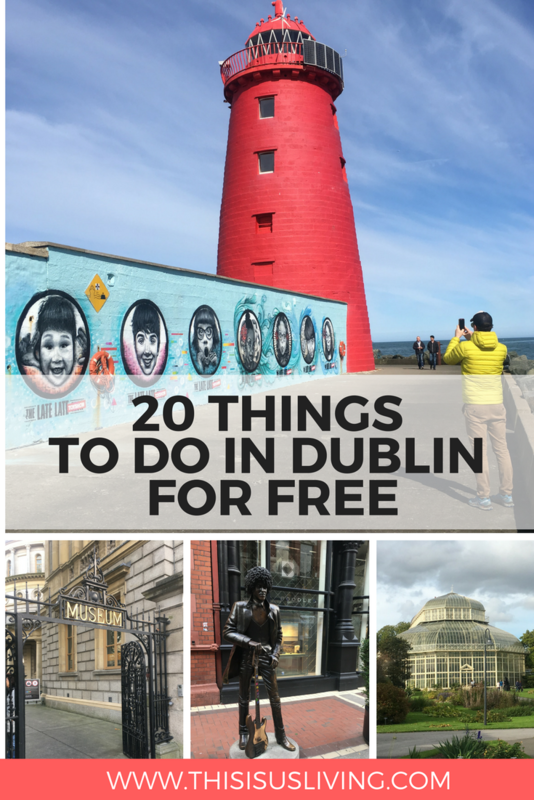 We finally booked a little leave and took a Friday off so that we could travel down and explore a bit of Cork and what it has to offer. 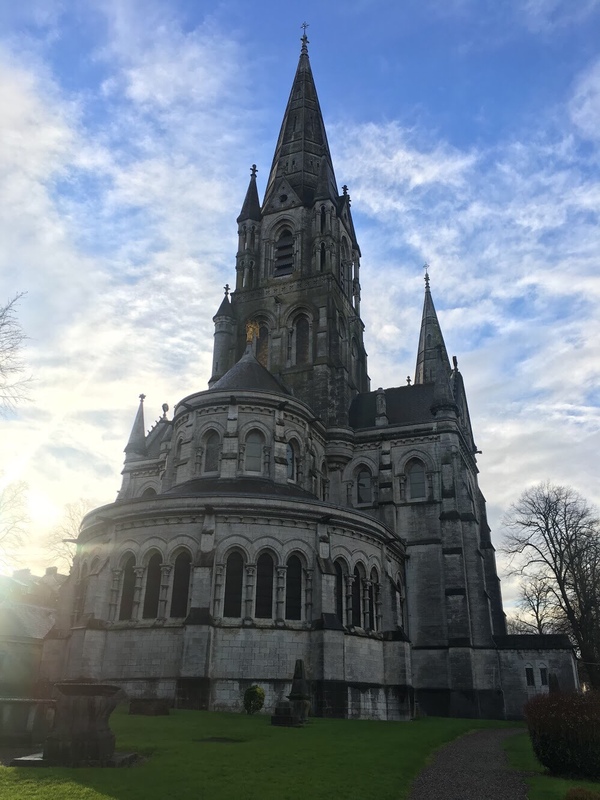 We quickly found out that 3 days is in no way enough time to fully explore all that Cork has to offer – there is just so many ways you can go about seeing this county! 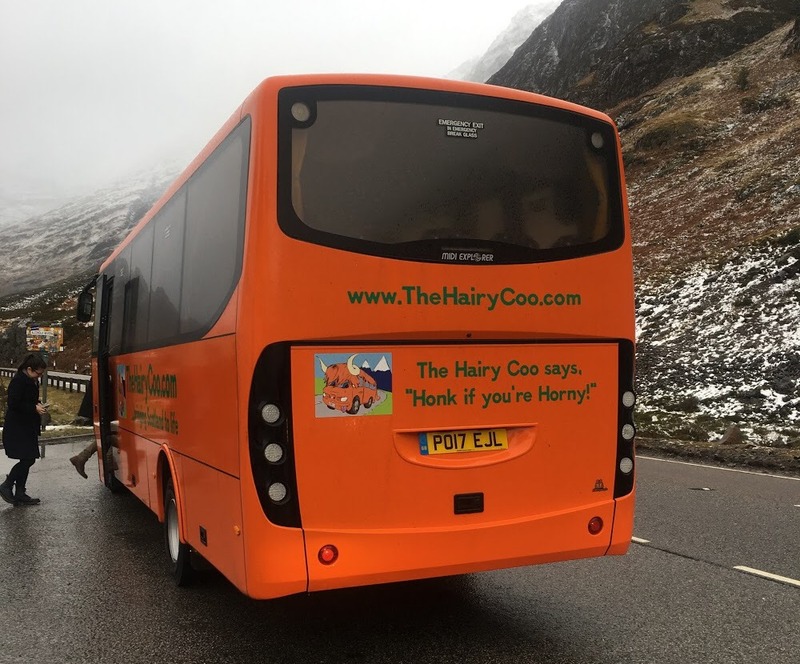 We took the goBus from Dublin to Cork. 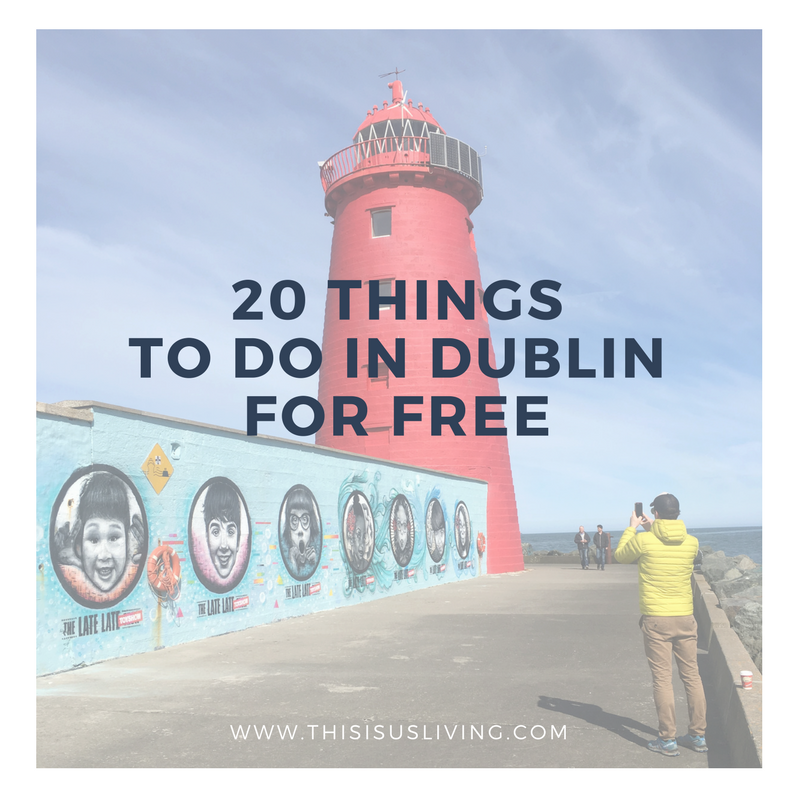 It is a 3 hour bus drive down to Cork at only EUR28 return. You could take the train which is only 30 minutes quicker for almost double the price. The bus leaves from Dublin City Bus Stations (Busarus) and drops you off in the city center in Cork, at Parnell Place. 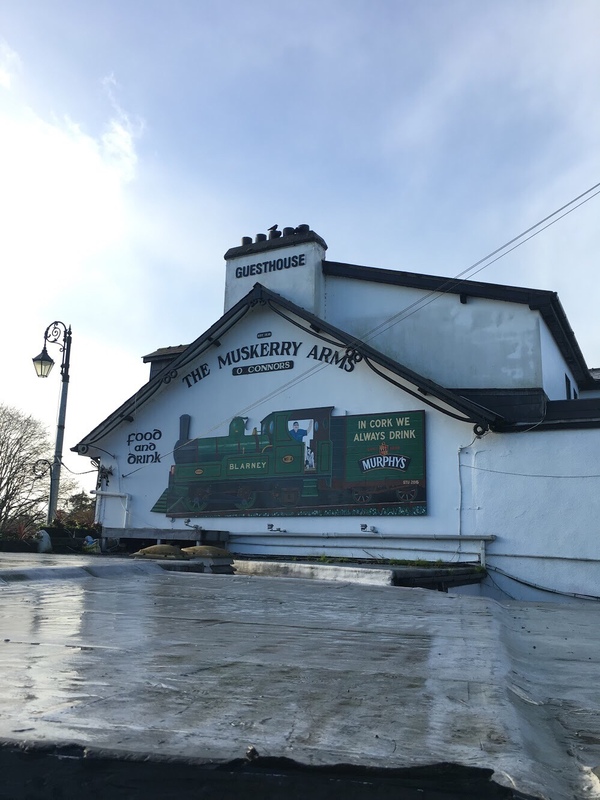 I found a great deal for a bed and breakfast option in Blarney, at the Muskerry Arms. There are busses going from Cork City to Blarney every hour. 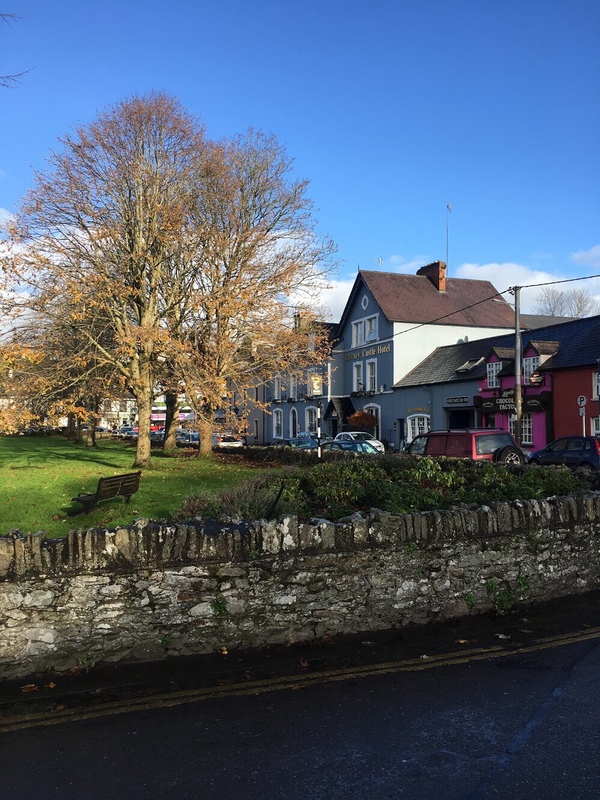 Blarney is a small town, the main stop is right outside the hotel. We took busses between Cork city and Blarney; it is quite handy that if you have a leapcard – you can use this on public transport in Cork! We also had my dear friend who lifted us around while we were there – Thanks, Amy! We decided to go down early in the morning on Friday, instead of after work. This was purely from a cost point of view, there didn’t seem much point in travelling down the night before just to sleep there. So we got up early and arrived in Cork at around 11am. Cork city is quite unique in that the center of the town is effectively an island. The River Lee runs through it. the main city center is on this island and you probably wouldn’t notice it if you didn’t have an husband who is obsessed with reading maps like mine is. We then made our way to white street car park which is known for its various street art. 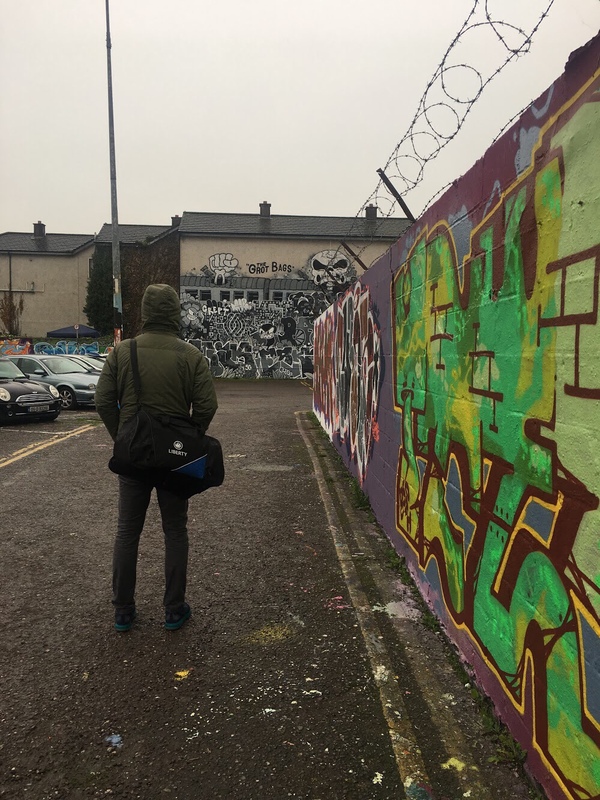 I have to say that by this time it was properly raining in Cork and I may have not given the art as much of a solid look and more a quick ‘walk-by’ because I was wet and cold. Regardless, it is worth a look. Because it started pouring down with rain, we cut the street art viewing short and walked to the English Market to find some warmth and some much needed lunch. 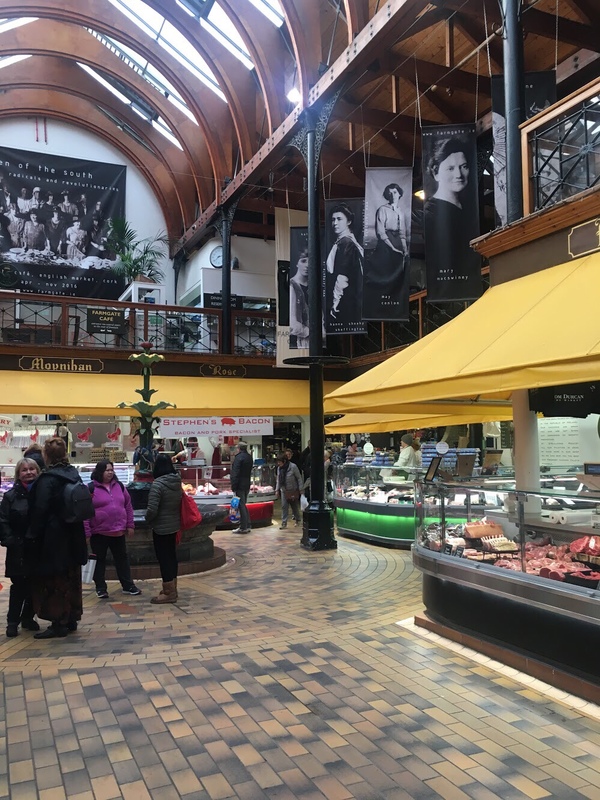 The English Market is a must stop for any foodie, or anyone interested in finding some food. We went to the restaurant on the top floor that sits above with a view of the market below called Farmgate. we just grabbed a light lunch and coffee although there is a more fancy menu and seating area on the other side. 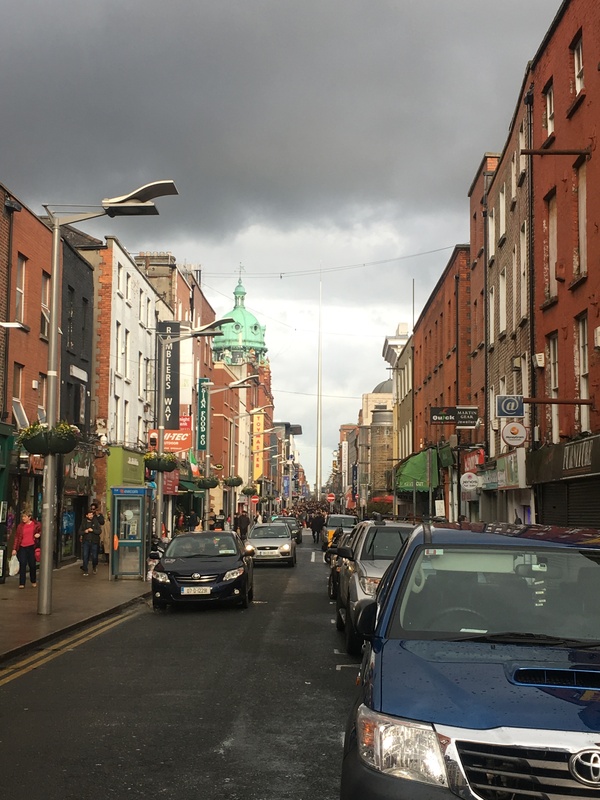 The great thing about the rain in Ireland is that it doesn’t often stay for too long, so straight after lunch we were able to continue our walking tour of Cork. We walked down the Grand Parade towards the national monument, over the river towards Saint Finn Barre’s Cathedral. This cathedral is absolutely breathtaking. It towers above you, almost making it hard to get a good pic! 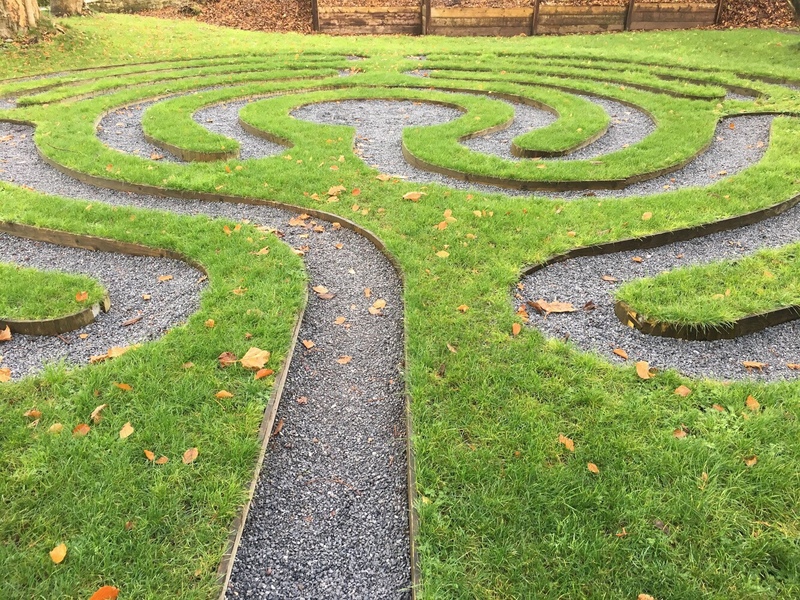 we walked around the cathedral and found a small labyrinth around the back, which I promptly walked – ofcourse. 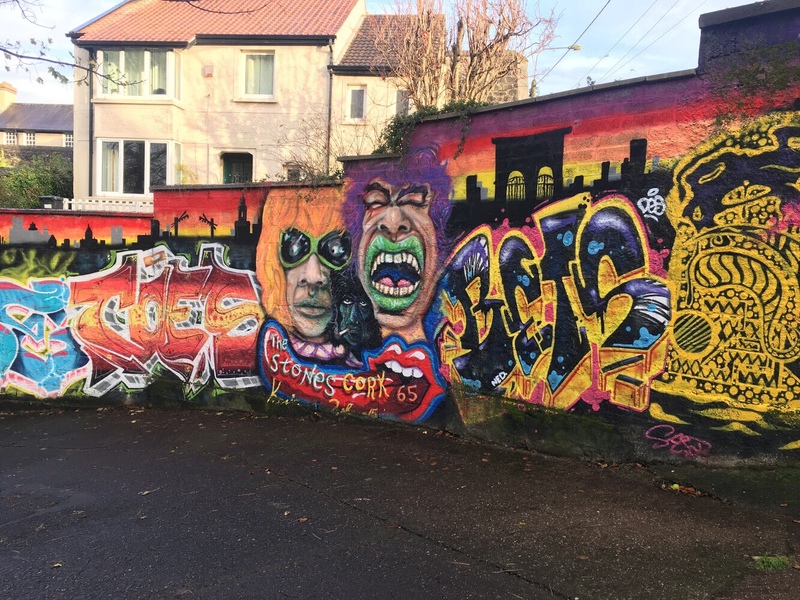 While exploring the cathedral grounds, I caught a glimpse of street art that was bright and colourful down the alley behind the cathedral, so happy I found it, really such a rad art piece. After Saint Finn Barre’s we tried to go across town to the Butter Museum (yes friends, there is such a thing!) 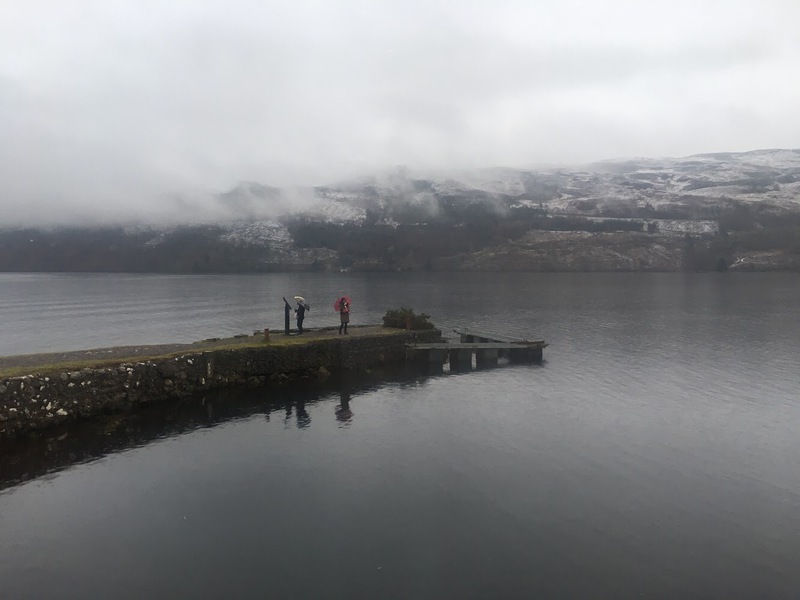 but it was closed – pro tip from our mistake: check the opening times of museums and tourist spots over winter: they are often closed or have shorter opening times! Since we were fairly close to the bus stop to Blarney, we decided to go out and check in. 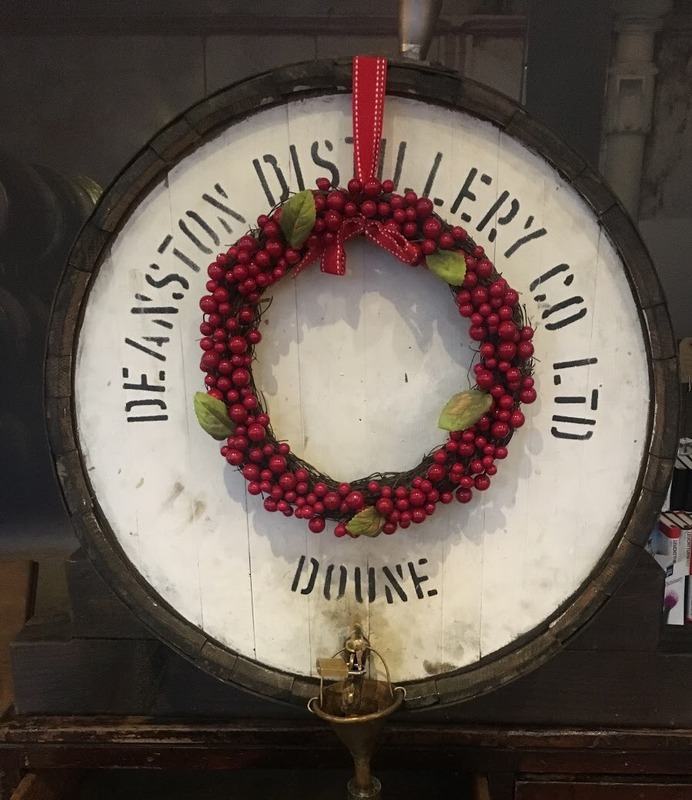 We spent the evening at the Muskerry Arms, not only was it a comfy bed – but there is a lively bar and restaurant too. The great thing about this spot is when you want to go to bed – you don’t hear the pub at all from the bed room! Which I was super impressed and relieved to find out. On Saturday, straight after breakfast we walked over to Blarney Castle and Gardens. It was great that we were able to get to the castle early, before all the bus tours arrived. It also left us pretty much the whole day to really explore Blarney Castle and Gardens. 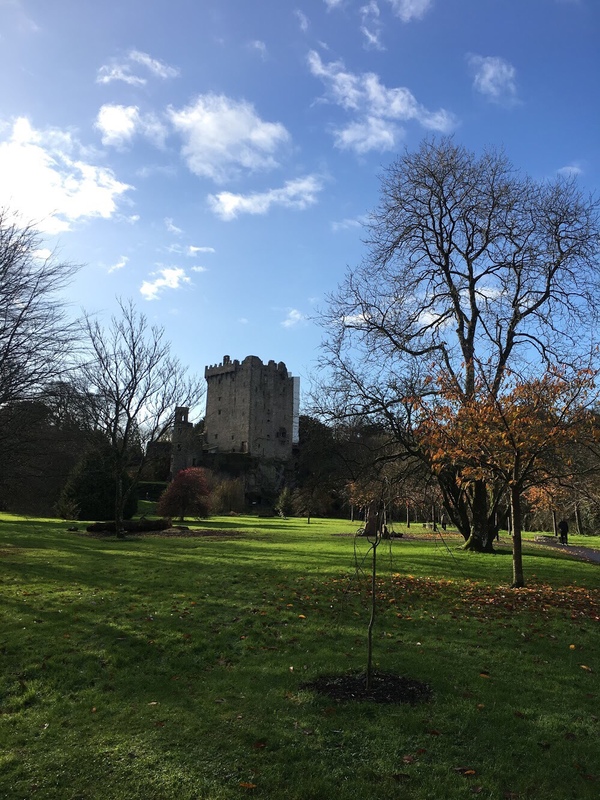 I wrote a whole post about our experience about kissing the blarney stone, and all the wonderful things you can see here. After our full day exploring Blarney, we stopped by the Blarney Chocolate store for some treats to enjoy with our afternoon tea. As well as a quick visit to the Blarney Woolen Mills which is basically a huge tourist shop with irish trinkets and gifts. Sorry but shopping really isn’t something I enjoy while on holiday! 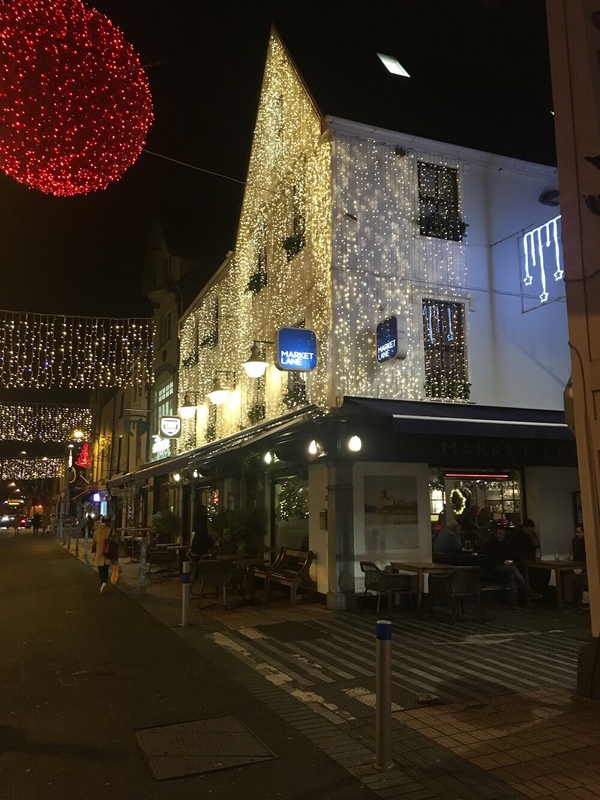 In the evening, Amy drove us through Cork to see the Christmas lights, and we went to a great restaurant in Cork City – Market Lane, on Oliver Plunkett Street. Great food, healthy glass of wine and even better company. We sat in a high booth table near the bar, as it was a very busy night and they fitted us in without reservation, but I think we had the best spot in the house – it is a beautifully decorated restaurant. The food was really good too! Our last day, this trip really flew by! We made our way back to the Butter Museum in the city and I have to say this quirky spot was such a treat to visit. There is alot of history with the butter trade in Ireland, and how dairy farmers expanded from milk to butter products. 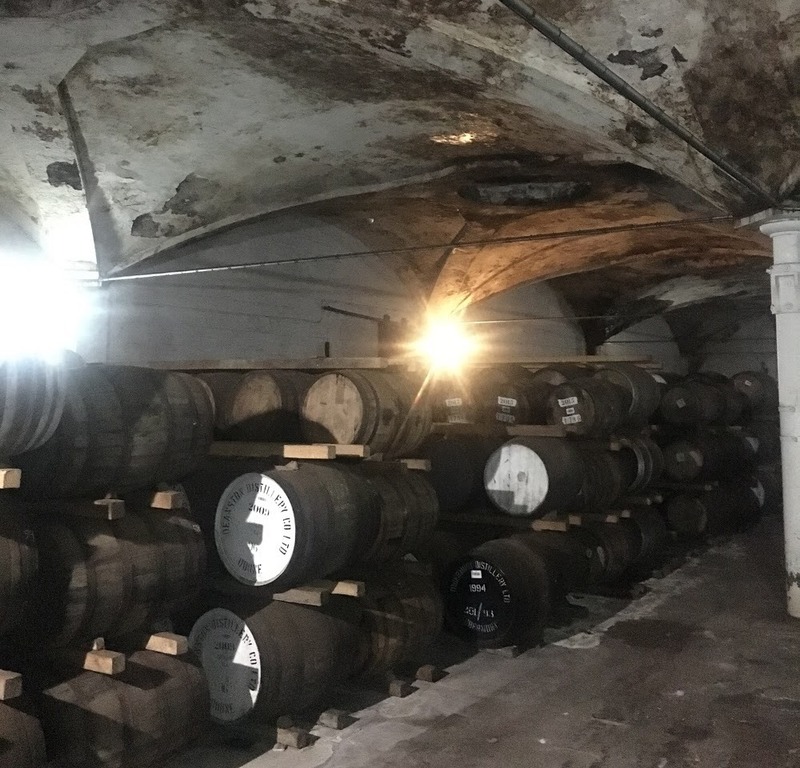 The interesting part for me was learning all about the marketing they had to do when they started exporting butter to other countries – the marketing nerd in me was very intrigued! It costs EUR4 to enter and you watch a short video which explains a lot of the history, then you get to wander around the museum. 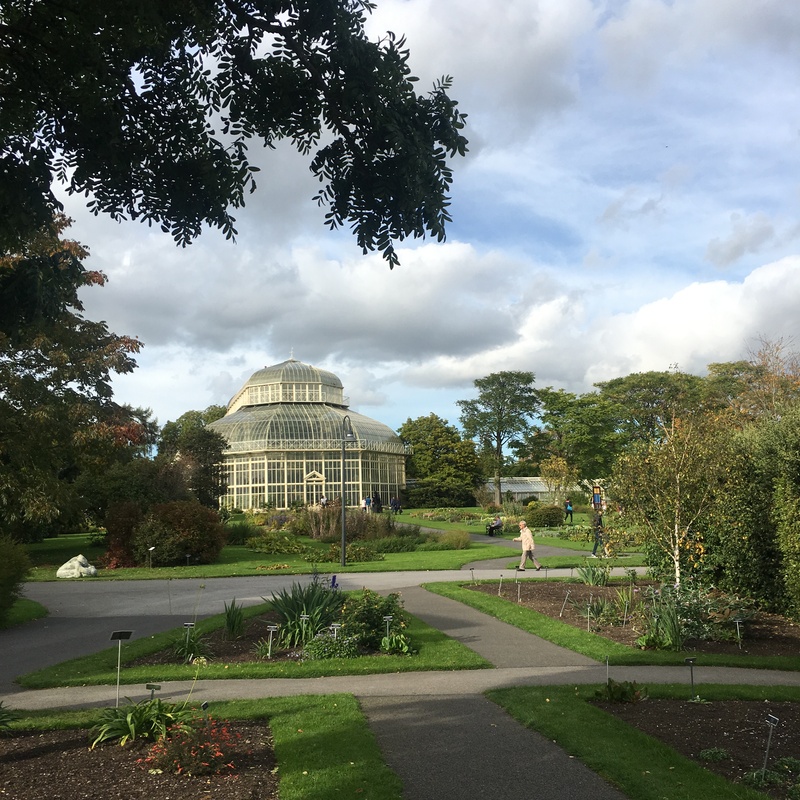 They have some peat bog on display too – not as big as the one at the National Museum of Ireland in Dublin but still fun to visit. 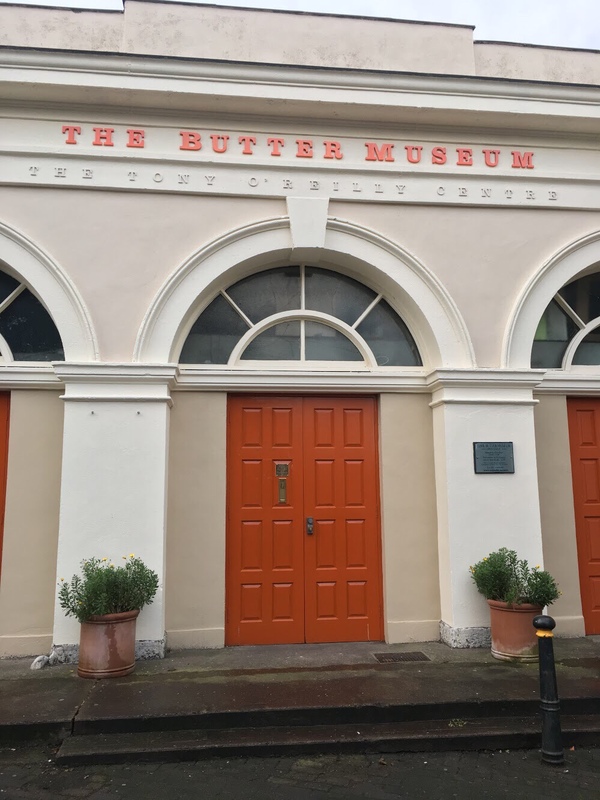 The best part was showing Amy, an irish gal who has lived in Cork all her life, all about the Butter Museum that has been outside her front door all this time! 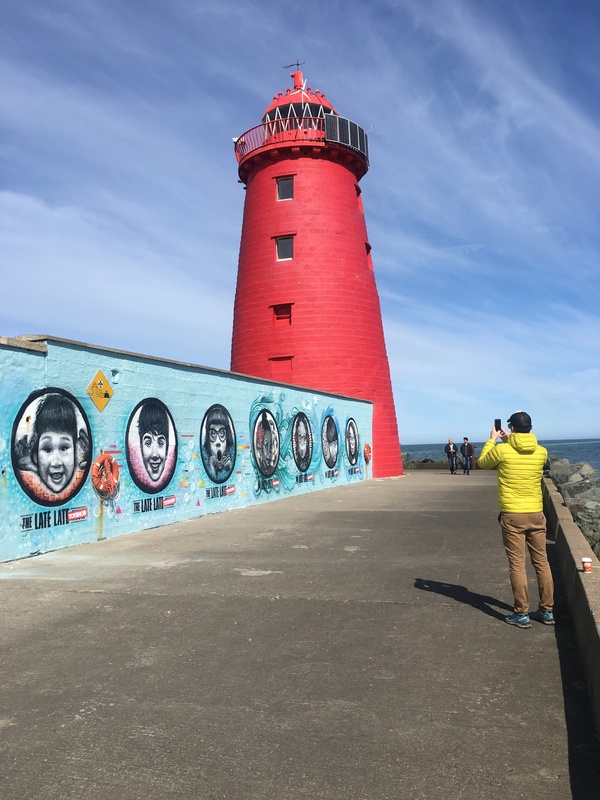 Another reason to explore your city, you just never know what gems the tourists will find! We then headed out to Cobh (pronounced ‘Cove’) which is steeped in more Irish history. Cobh is also on an island in Cork City’s harbour. It is also the last port call for the Titanic in 1912. 123 passengers embarked at Cobh, and only 44 survived. Aside from the history of the Titanic, it is a quaint fishing town, with multi-coloured buildings that line the coastline. 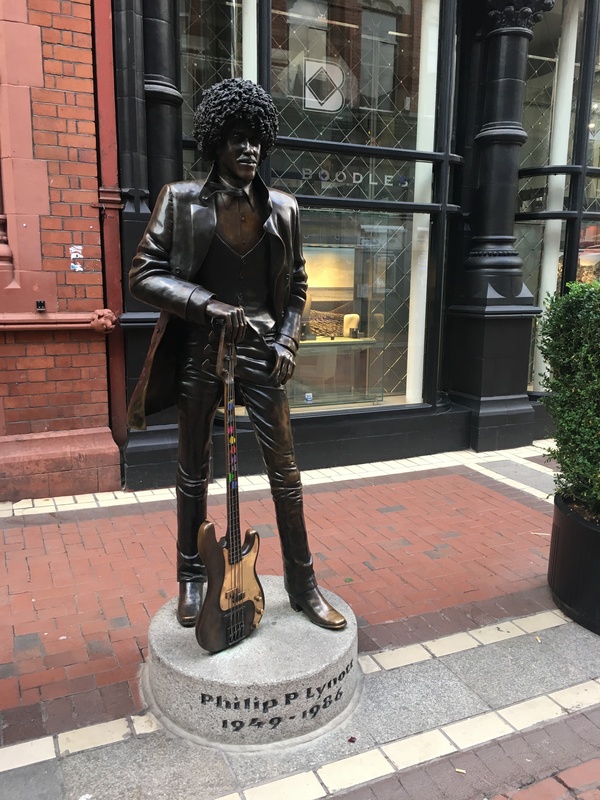 It is a cool little town to visit, the perfect day trip to end our trip to Cork. 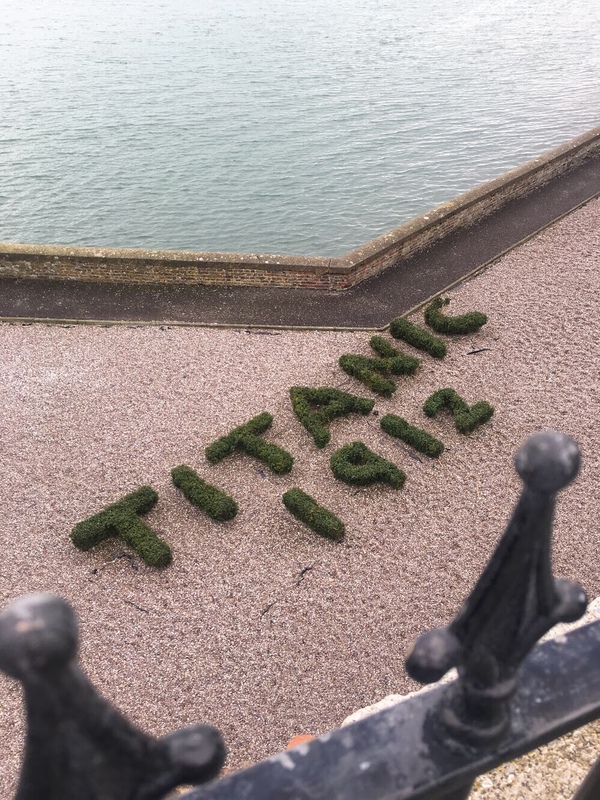 We went to the Titanic Memorial Gardens, as well as did the Titanic Experience. 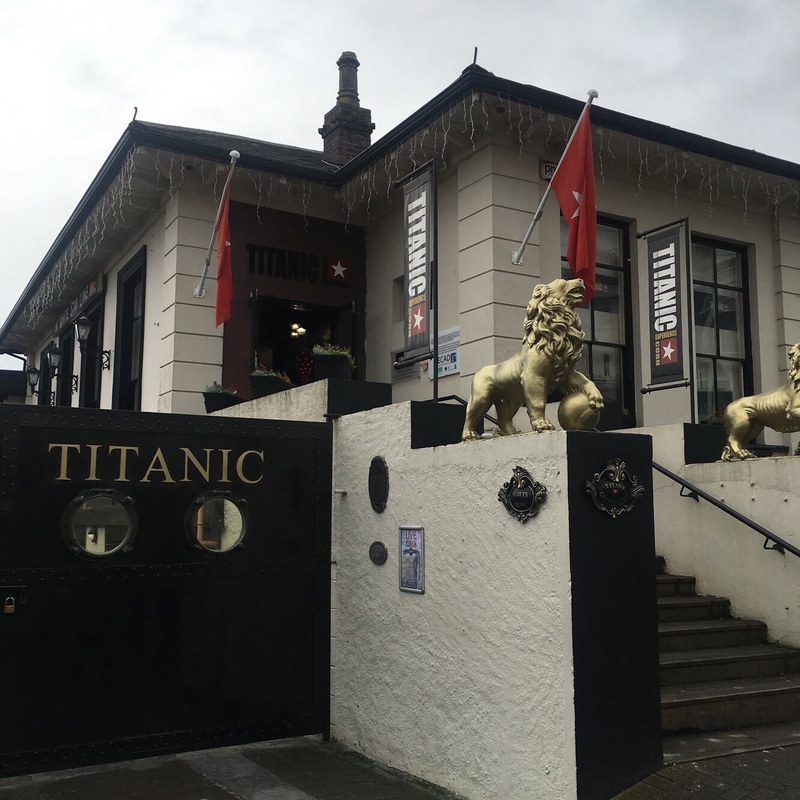 I found the titanic experience to be interactive and engaging. They issue you with a name of a passenger on each of your tickets, and you go through what it must of felt like for the passengers waiting to board the Titanic, how they lived on-board, what they ate as a final meal and what they might have experienced as the ship started to sink. At the end of the tour you get to go to a large wall and search the name of the passenger on your ticket to learn more about whether they survived or if they did not. Tickets costs EUR9.50 and the tour lasts about 45 minutes. After that, we had lunch in Cobh before heading back to the bus to make our way back to Dublin. 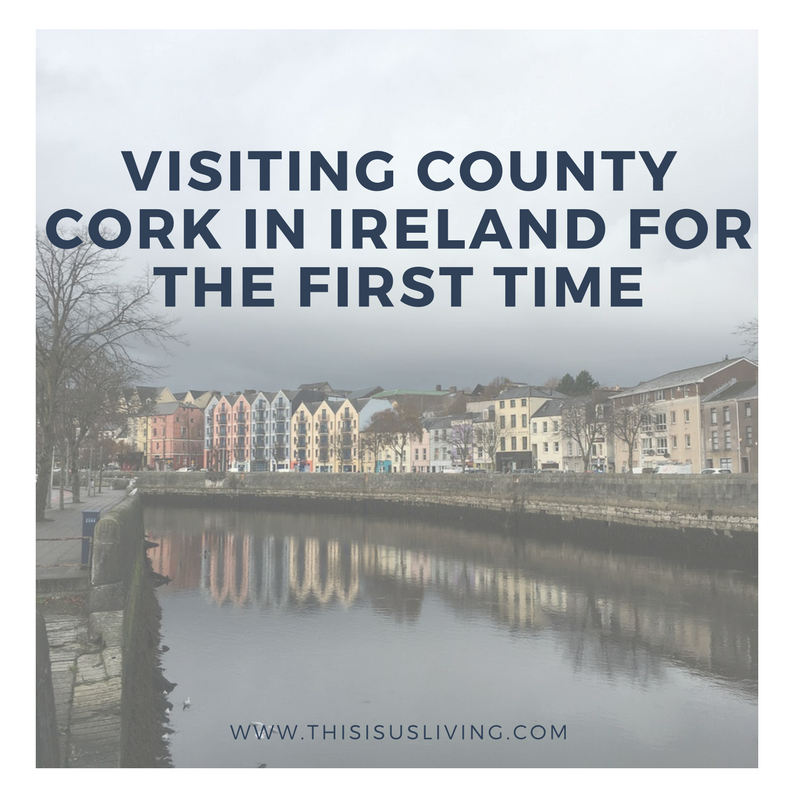 Cork definitely needs a bit of a longer stay, and possibly we need to consider renting a car so that we can really see a bit more. 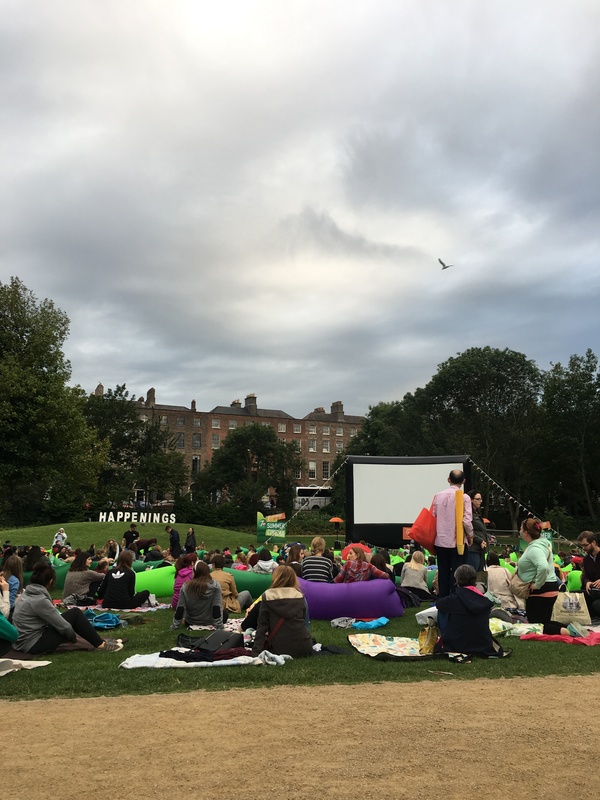 But one thing is for sure, we haven’t seen all Cork has to offer – and we will be back – but it was a great first trip to Cork nonetheless! 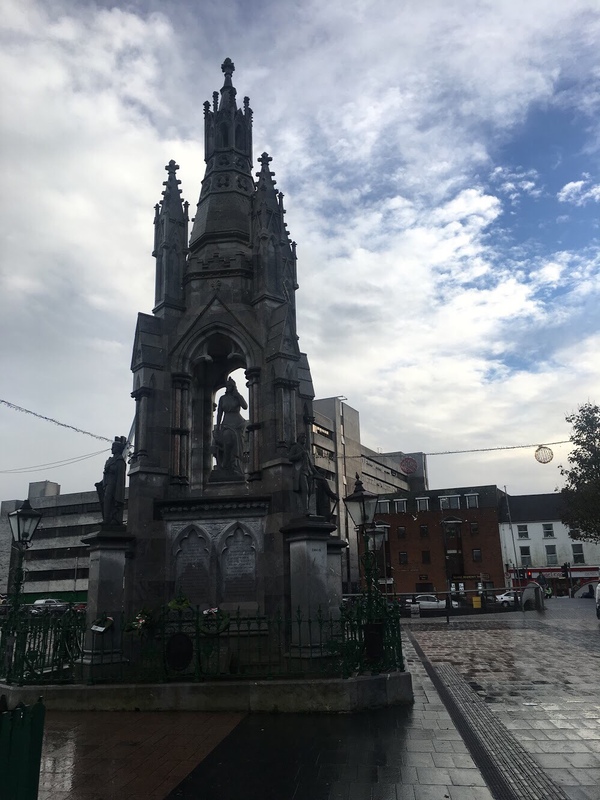 A huge thank you to Amy, who was so generous with her time, lifted us about town and even sneakily paid for a few things too! We loved visiting you, and can’t wait to come back and explore more of your city with you. 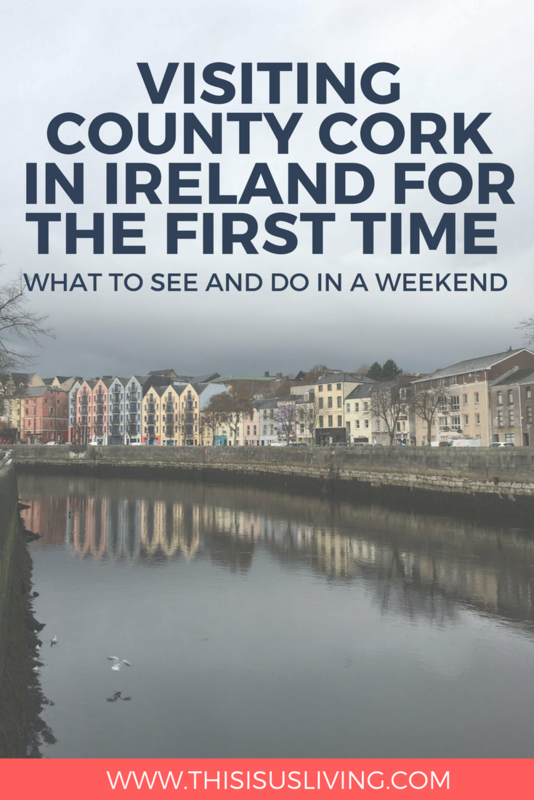 HAVE YOU BEEN TO CORK – WHAT SHOULD WE SEE ON OUR NEXT VISIT THERE?